In another small step to centralize your Google search activity, the company is now testing Drive documents in search results. 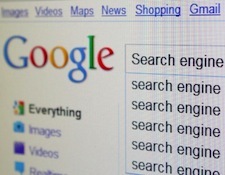 In August, Google began experimenting with Gmail, adding your personal emails to your logged-in search results. For example, if you search for an item on Amazon, Gmail results, such as a shipping confirmation, will appear. 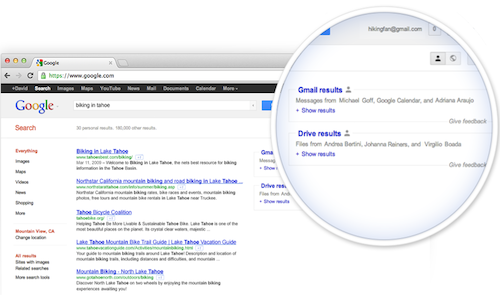 Once you opt in to the trial, you will begin seeing a prompt from Gmail and/or Google Drive on the right side of Google’s search results screen. The actual results won’t show by default, for privacy reasons. Instead, you’ll have to click to see them. Similar to the initial trial, you can sign up if you’re interested in testing the new search features. The trial is open to English-speaking individuals with @gmail.com addresses only — Google Apps accounts aren’t supported at this time. While this could certainly help to unify everything under one account, not everyone is keen to the idea of their personal email or documents appearing in results. If this is the case, you can hide the personalized results, or exit the trial at any time.